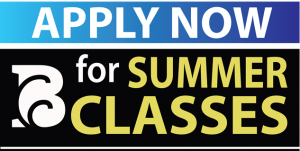 Mondays through Thursdays: 9:00 a.m. until 4:30 p.m.
Fridays: 9:00 a.m. until 3:00 p.m.
A returning student (for credit) is someone who took for credit courses with BCC during a previous semester(s) and interested in returning. Need to see a current semester schedule? This is the place!